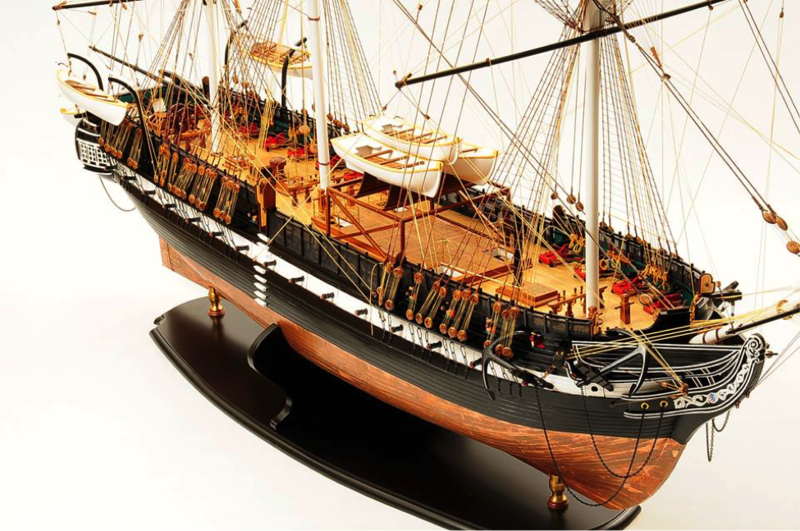 People have participated in building and collecting model ships for different reasons in countries around the world and time periods in history. In the ancient world, boat models were featured in burial ceremonies and ancient boat models have been discovered in ancient tombs in Egypt, Greece, and other areas of the Mediterranean. Today, collectors have different reasons for continuing the tradition of ship model collecting. If you want to learn about ship models, the Australian National Maritime Museum offers research guides for historic ship models. Each collector has unique reasons for collecting model ships and sources of inspiration for selecting boats. Some collectors love nautical history, classic yachts, or military vessels and choose model ships based on those preferences. Others follow trends when making purchasing decisions. Model ship collecting trends have changed frequently over the years. Replicas of wooden sailboats and yachts first gained popularity in the second half of the 19th century. These models were often given as gifts to children, usually from more affluent families. Later in that century, production methods made model boats and toy boats more affordable to the average family, which resulted in an increase in purchases. At the end of that century and the beginning of the 20th century, replicas of famous ships became popular among collectors. Trends are always changing and staying ahead of the latest trend is not always the best way to build a collection. A better place to start is with your own interests and preferences. Collections often grow from a particular interest, such as America’s Cup racing model yacht designs, military ships from World War II, pirate ships, or modern cruise ships. The reasons for choosing specific types of boats sailboat and other models are as unique as the individual collector. Whether you are buying your first model or trying to build a collection, consider that the model yacht or sailboat will need to fit into your overall collection. Do you want a theme to the collection? If so, determine the general theme or type of boat and level of quality when choosing models for your collection. You can always expand or narrow the focus of your collection in the future.